With more than 13 years as a litigator, Joel represents clients on all types of employment claims before administrative agencies, in state and federal courts, and before arbitration tribunals. He handles both individual and class litigation throughout the country, with extensive experience litigating in California. Joel’s business-driven guidance helps employers through the full life-cycle of hiring, from recruiting and performance management to workplace investigations and post-employment restrictive covenants. He also counsels clients on complying with discipline and discharge, workplace leave, and employment and severance agreement issues. Joel offers practical, business-driven advice to corporate clients and human resources professionals, helping them navigate the ever-changing and complex landscape of local, state, and federal employment laws. 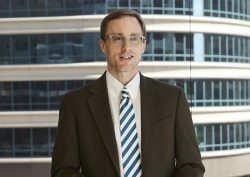 He provides proactive compliance strategies distinctively suited to each client’s industry, size, and locale, keeping in mind that every client – from an entrepreneurial start-up to an established global organization – deserves unique attention. He prides himself on offering efficient, results-oriented litigation focused on his clients’ ultimate business goals. TelCom Construction Inc. v. Michael Simon and MP Nexlevel, LLC (Minn. Dist. Ct.) – After replacing prior counsel, obtained vacation of previously entered temporary injunction and obtained summary judgment on non-compete and tortious interference claims. Achieved multimillion-dollar settlement during three-week jury trial involving claims for breach of non-solicitation agreement, tortious interference, and misappropriation of trade secrets. Prosecuted restrictive covenant claims against former sales and executive employees in Iowa, Minnesota, New York, and California for national media company. Enforced Minnesota forum-selection clause and non-solicitation agreement against former New Jersey sales manager. Obtained injunctions and monetary settlements against former sales employees of national technology company in California, New York, and Oregon. Enforced Minnesota forum-selection clause against California sales employee and imposed non-solicitation obligations. Reached favorable settlement for national insurance company after injunction hearing against former executives. Enforced non-competition agreements against former employees of Minnesota healthcare provider. Represented national printing company in defense of non-competition claims involving hiring of new executive employee. Represented national technology company in California, New York, and nationwide FLSA and state law hybrid action alleging meal and rest break, overtime, and derivative claims. Achieved favorable settlements for national restaurant chain in Minnesota, Illinois, and FLSA tip-sharing and unpaid overtime cases. Negotiated nuisance-value settlement in Florida off-the-clock wait staff class action. Represented national manufacturing company in California meal and rest break and off-the-clock case. Member of team that conducted company-wide wage-and-hour exemption classification audit of national medical device company Investigated harassment claims leading to termination of company CEO. Obtained early pre-discovery resolution for national clothing retailer in California meal and rest break and off-the-clock cases. Member of team that defended national utility company in Minnesota off-the-clock case, obtaining favorable settlement days before trial. Represented national technology company in defense of race, gender, age, and disability claims by employees in New York, New Jersey, and California. Defended manufacturing client in nationwide putative class action alleging across-the-board age discrimination under Age Discrimination in Employment Act. Managed investigation of multiple members of executive team of national company involving whistleblower, harassment, and retaliation allegations. Represented financial services company in Eighth Circuit appeal of race discrimination claims. Represented janitorial services company in Eighth Circuit appeal of sexual harassment claims by eleven employees. Won summary judgment for retail grocer in disability discrimination and Family and Medical Leave Act litigation. Obtained affirmance of summary judgment for national energy company in Eighth Circuit appeal of Equal Pay Act claims of three employees. Member of team that defended client in putative class action alleging across-the-board age discrimination under Minnesota law.